The RHF Protect-Your-Neck Shoulder Strap will add serious comfort to carrying your plug bag or any other bag that takes a shoulder strap. Because it’s contoured, the strap lays flat across the chest, shoulder and back, evenly distributing the weight of the plug bag. No more strap digging into your neck! And just because we can, we added some 1/4″ closed cell foam padding to make it even more comfortable. We also put a “grippy” textured material on the underside of the contoured section to stop your plug bag from sliding when you lean over. 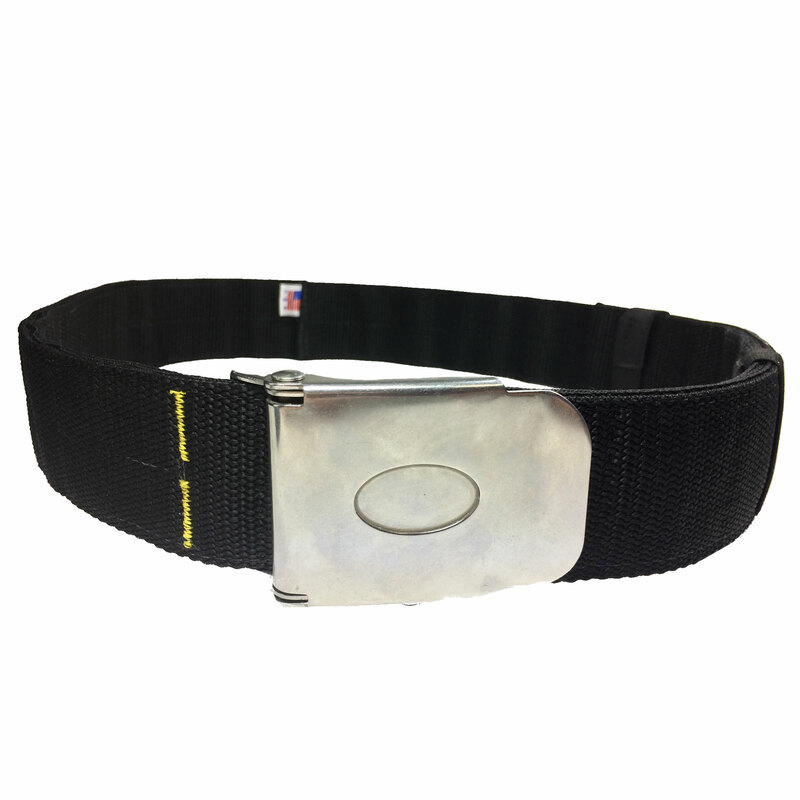 The outer skin is very durable Cordura® nylon and the whole contoured section is attached with 1 1/4″ bar tack to the same 2″ heavy duty strap that we use for our Rockhopper Surfbelt. Use the spring clips or the buckles to attach it to any plug bag out there and you’re ready to go! Contoured padded strap won’t dig into your neck. Textured material grips on, so plug bag stays in place. 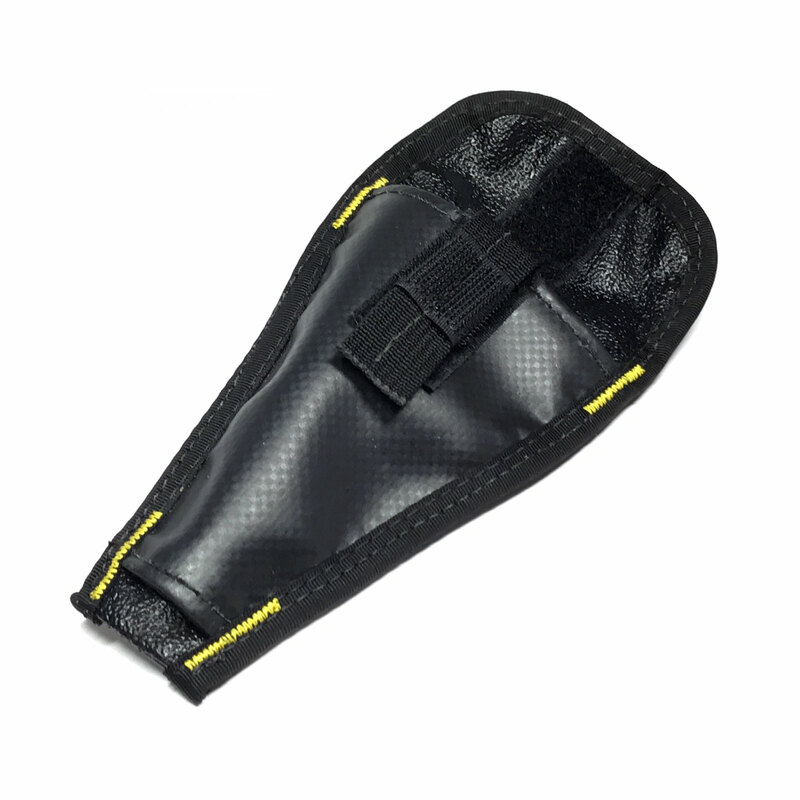 Outer skin is very durable 1000 denier Cordura® nylon. Adjustable from both ends for a perfect fit. 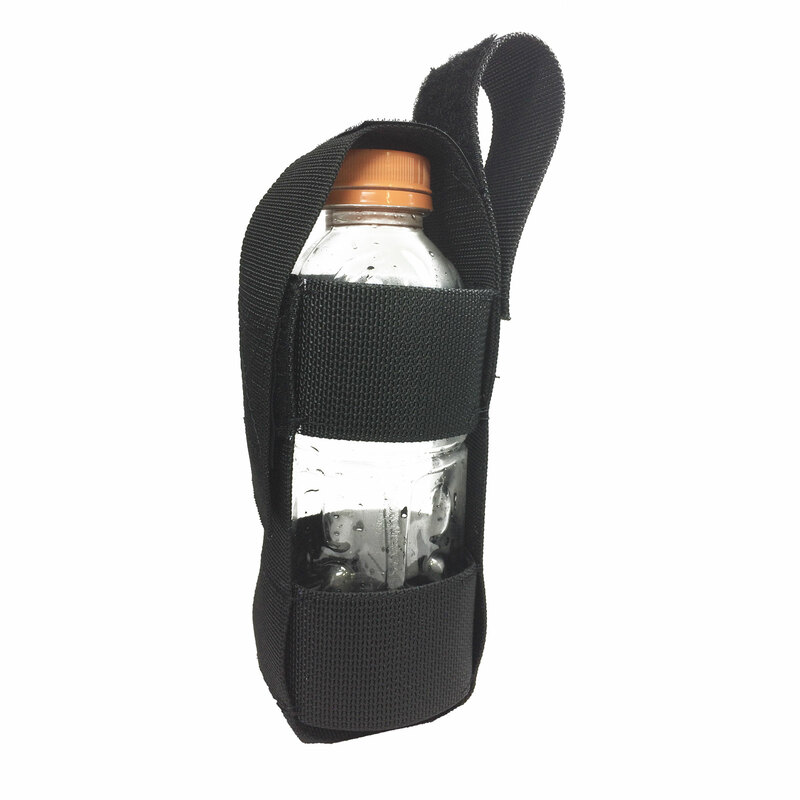 Each strap has 30″ of adjustable length. It’ll fit anyone! Attaches to any plug bag, camera or other bag. Spring Clip with a swivel base is made of stainless steel and plastic. Made with Rockhopper’s attention to simple design and superior quality. The middle of the contoured section should be on the top of your shoulder. 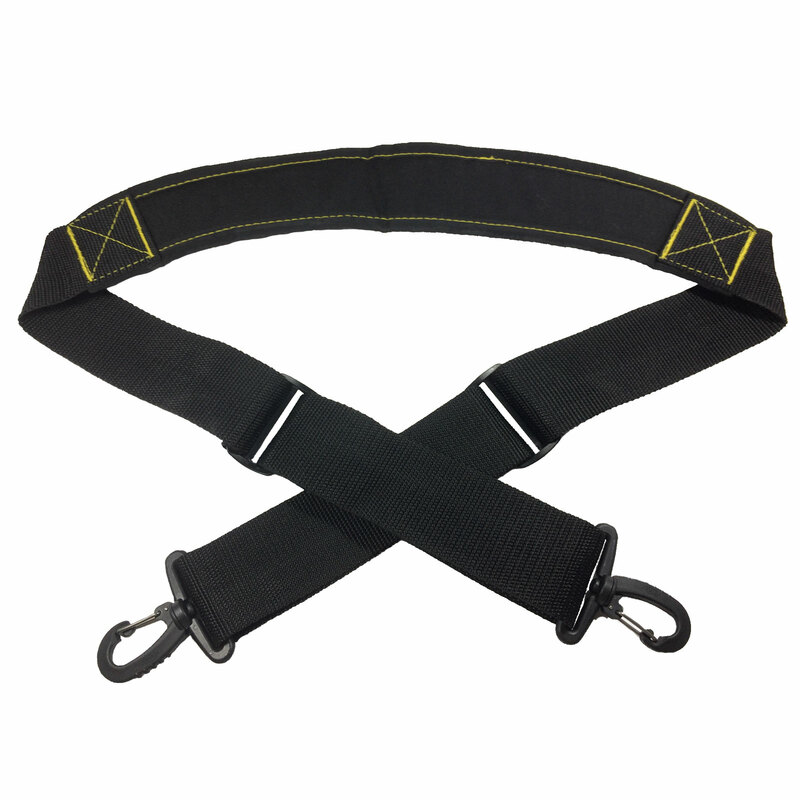 Micro-adjust until both yellow stitched X’s are evenly placed on your chest and back. Once it’s set, it’s good to trim some of the excess, but leave a little extra for future adjustments if needed. Trim by cutting with a scissor and then singe the ends. It will melt just enough to seal the ends.